Seed Savers Exchange is once again partnering with Mother Earth News and The Livestock Conservancy to give away a starter flock of heritage breed Silver Spangled Hamburg chickens donated from eFowl and raised as part of a collaborative effort. 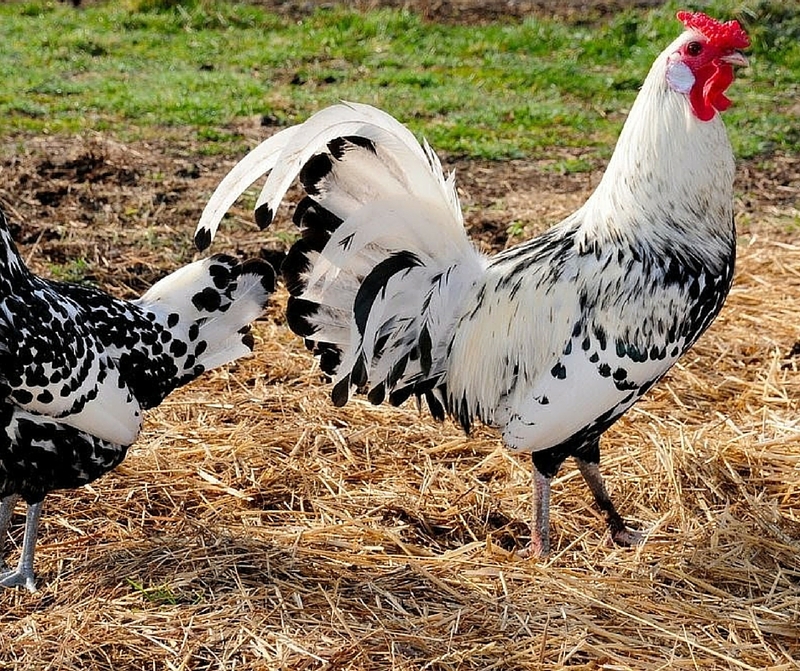 "The Hamburg is one of the oldest documented breeds of domesticated poultry. Originating in Holland...(t)he Hamburg arrived in the United States in 1856 and was extremely popular among farmers and families alike for its prolific egg production...Weighing about 4 pounds on average and laying almost 200 eggs per year, a Hamburg Hen is pound for pound one of the most productive breeds of chicken. And it’s not even their average egg count in a single year that makes them popular egg-layers. It’s their endurance over time as a viable contributor to the farm that makes them truly incredible."